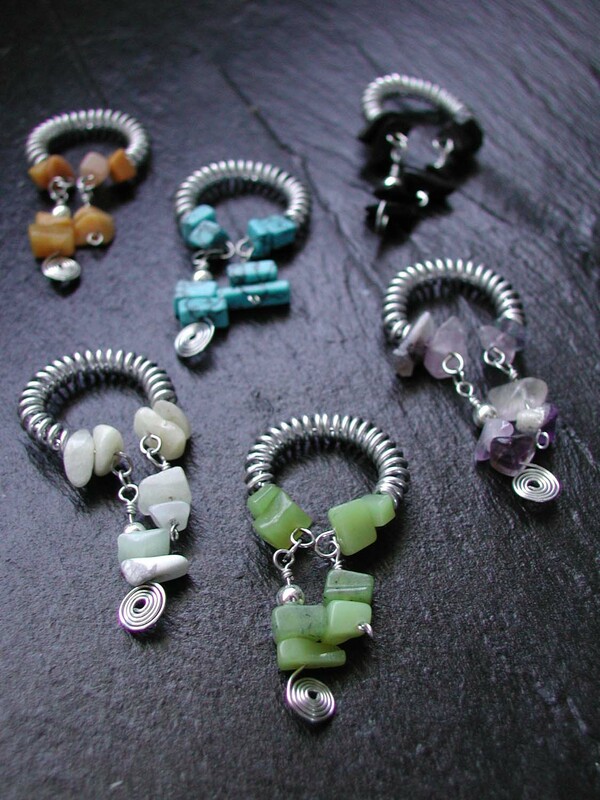 My drink charms are made to order, and are a wonderful gift or party favor! 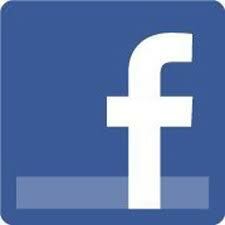 Please email me with your request and I will get a quote prepared for you! 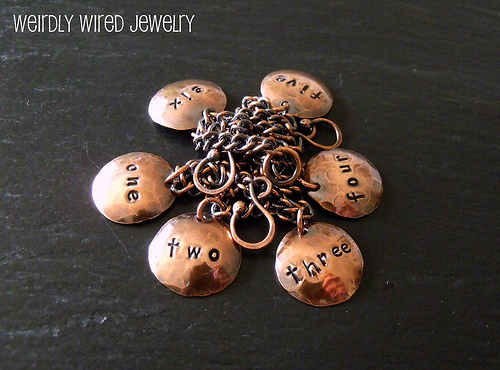 - angie @ weirdlywiredjewelry.com. 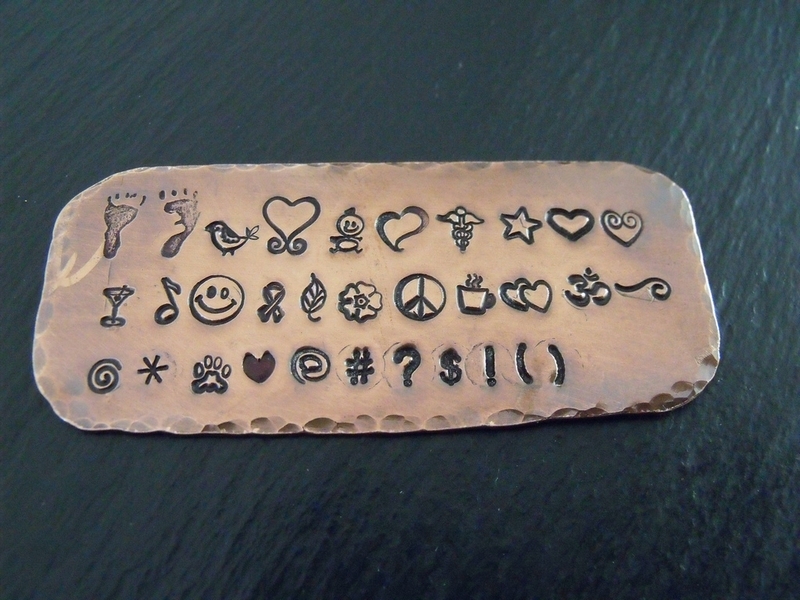 Stamped Symbols Sampler - send email. 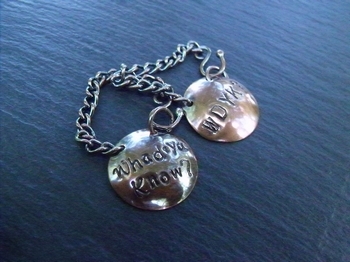 Drink Charms for Whad'Ya Know contestants - send email. Set of Six Drink Markers - send email. 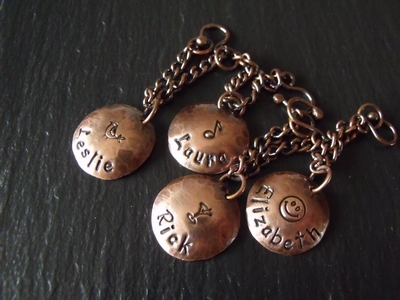 Custom Copper Drink Charms - send email. Stamped Wine Marker Set - send email. Custom Stamped Drink Markers - send email. Jeff Marcia Parrot Drink Markers - send email. 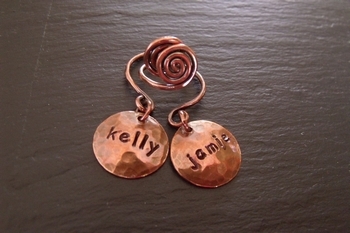 Copper Drink Markers-Kerry - send email. 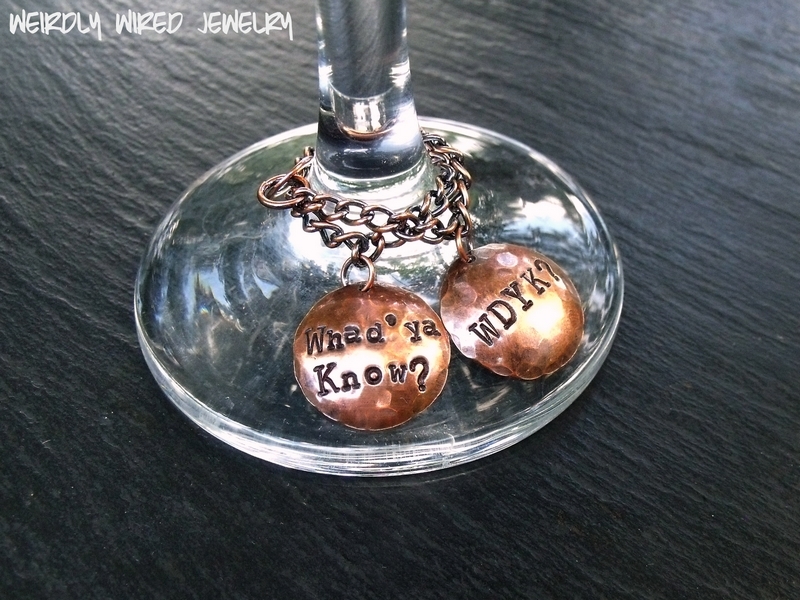 Copper Drink Charms - send email. Whad'Ya Know? Drink Markers - send email. 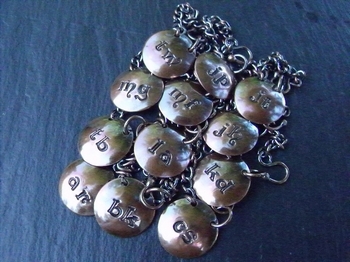 Initials Drink Markers - send email. Wedding Drink Markers - send email. 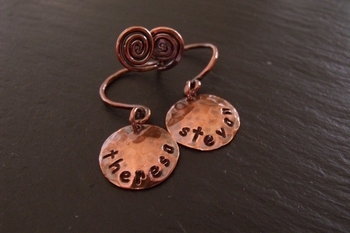 Theresa & Stevan Drink Markers - send email. Pearl Drink Markers - send email. 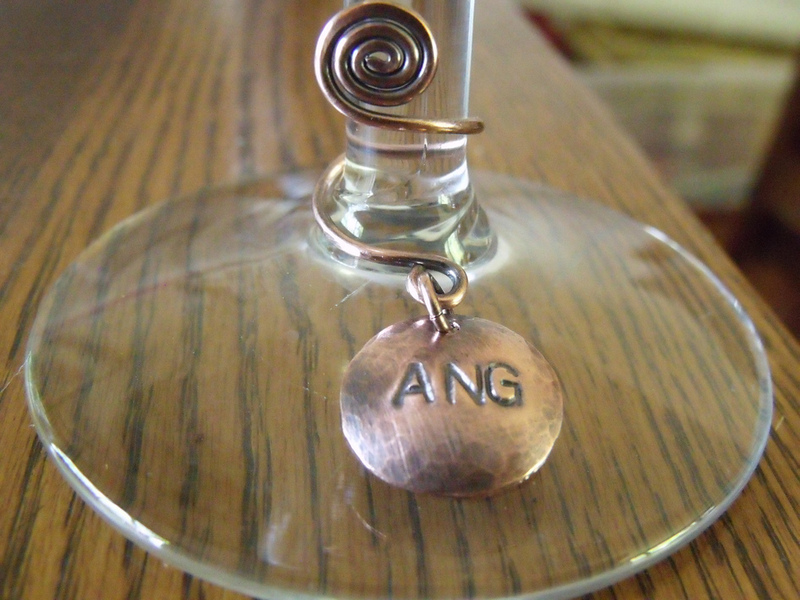 Stamped Copper Wine Charms - send email. Live Love Laugh Learn Drink Markers - send email. Personalized Drink Markers - send email. MINE & YOURS Stamped Drink Markers - send email. 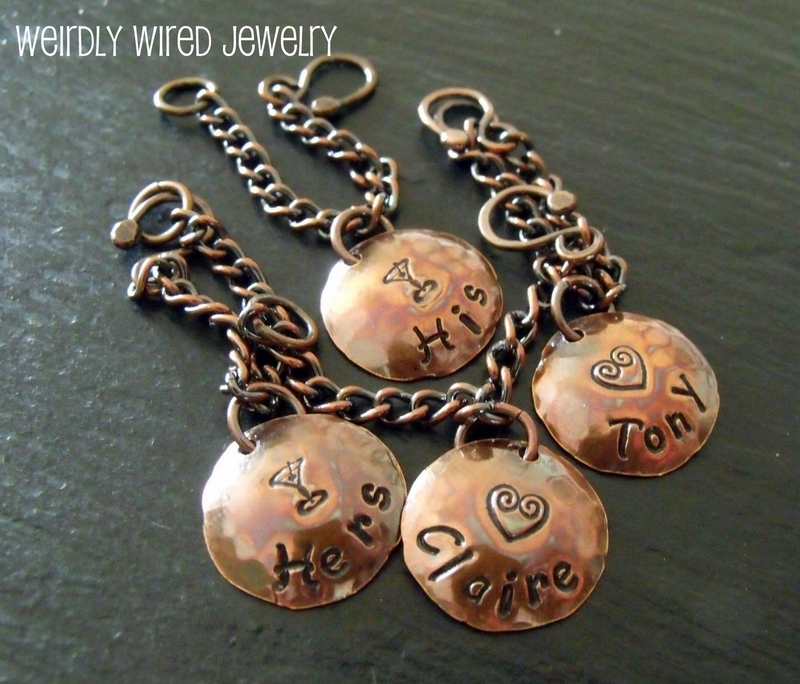 HIS & HERS Stamped Drink Markers - send email. 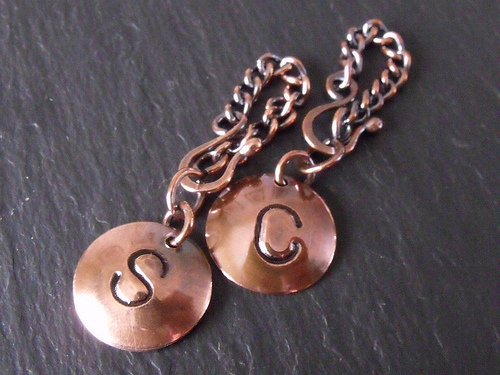 Stamped Copper Drink Markers - send email. 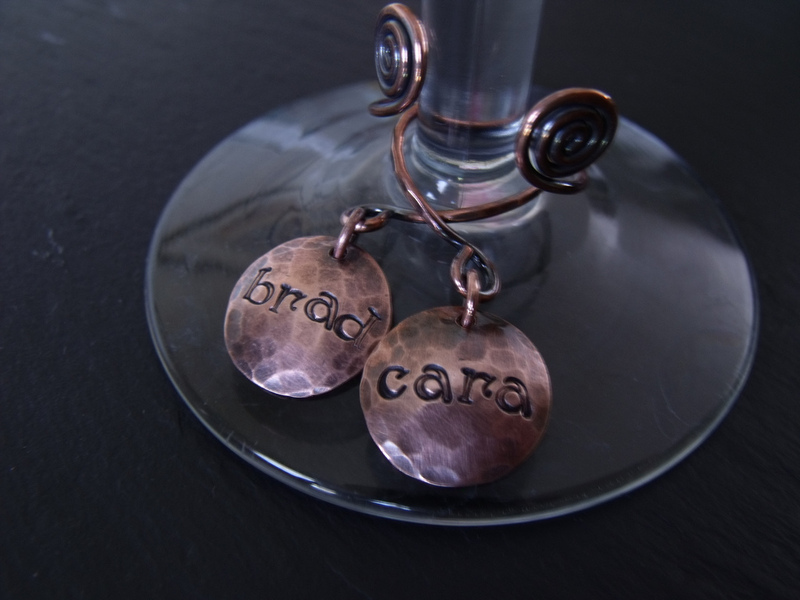 Fiona Font Copper Drink Markers - send email. 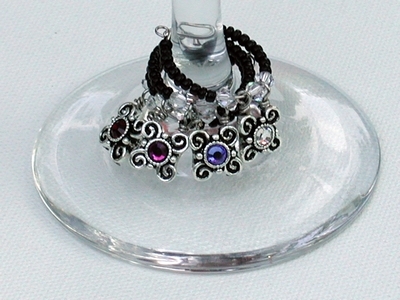 Gemstone Briolette Drink Markers - send email. 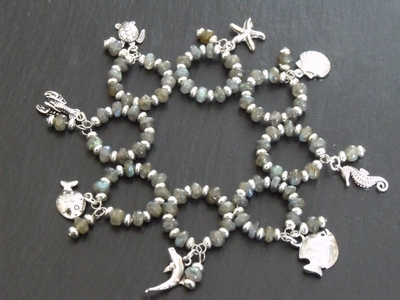 Marine & Labradorite Drink Markers - send email. 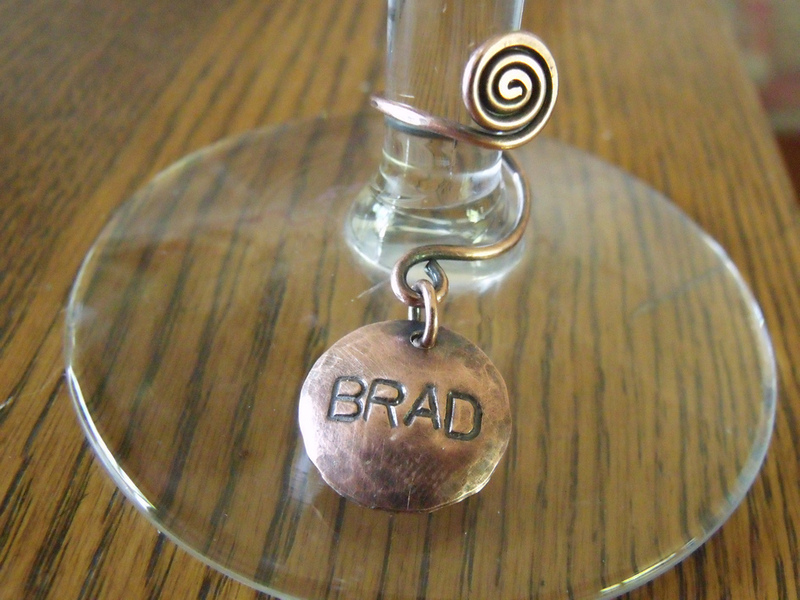 Copper Coil Drink Markers - send email. Kelly & Jamie Drink Markers - send email. 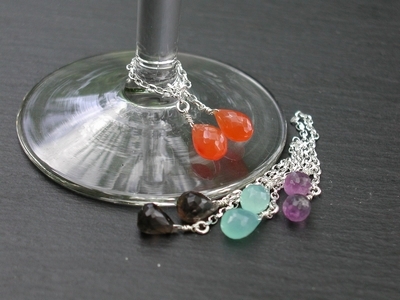 Gemstone Chip Drink Markers - send email. Swarovski Drink Markers - send email. 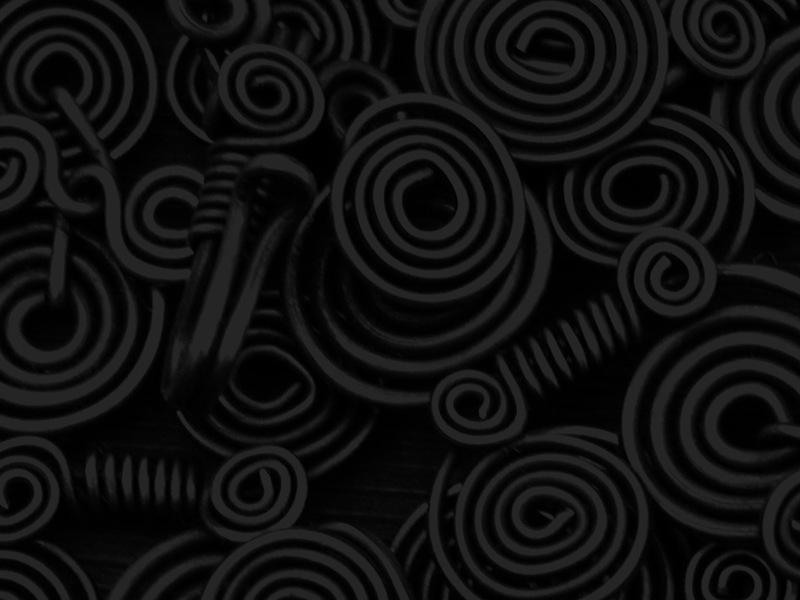 Coil & Bead Drink Markers - send email. 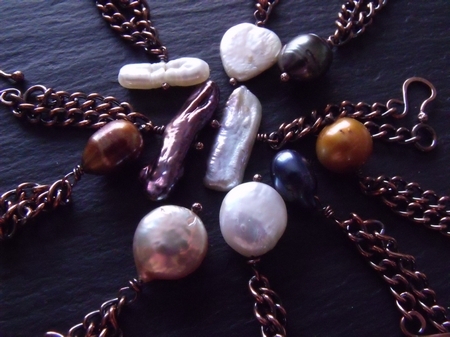 All jewelry, photography and website work done by Angie Simonsen.